The Group, led by industrialist, Sanjeev Gupta, announced its intentions after completing its acquisition of Green Highland Renewables one of the UK’s leading hydro-power developers, which will now be known as SIMEC Green Highland Renewables (SIMEC GHR). The announcement follows closely upon a recent meeting with First Minister, Nicola Sturgeon, when GFG disclosed that it aimed to double the £500m it had already invested in the Scottish economy. Hydro is a core element in GFG’s strategy to expand its total UK green energy capacity for industry to 1 Giga-Watt over the next three years. The GHR acquisition will trigger a programme to build or upgrade 12 hydro schemes in the Highlands by 2021, some of which will be on GFG’s 114,000-acre estate where it also plans to build a 400-worker alloy wheels factory next to its aluminium smelter at Fort William. GFG is reviewing offering ownership opportunities to local communities as part of its broader community involvement. SIMEC GHR’s team of designers, engineers and project managers – based at Perth and Dingwall in Scotland – is also likely to work with GFG to develop hydro projects outside the UK, including a proposed scheme to build largescale pumped storage hydro capacity in South Australia, where GFG’s largest steelworks is located. Jay Hambro, GFG’s Chief Investment Officer and Chief Executive of SIMEC Energy, said: “The SIMEC GHR team has an excellent reputation for planning, constructing and operating top-quality hydro schemes. They have delivered over 45 schemes and continue to operate 38 of these today. We are delighted the team is joining the SIMEC Energy family and it will be a valuable asset for the GFG Alliance and for our ambitions to become a major international producer of renewable energy for industry. “GFG has an ambitious target to create a gigawatt of renewable energy generation to power its vision for a long-term economically and environmentally sustainable future for British business. 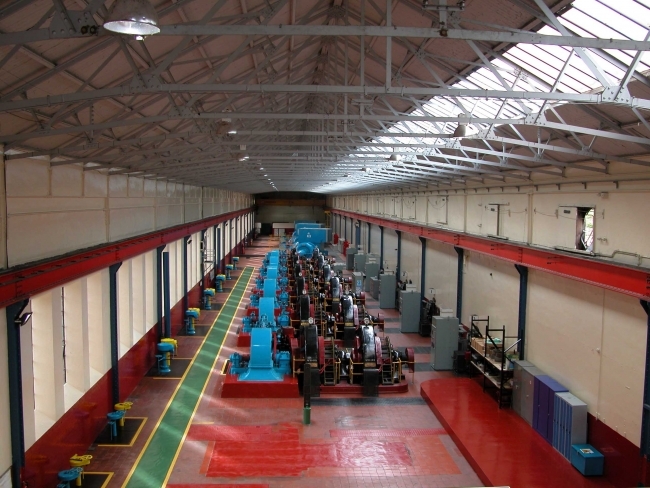 UK Government studies have identified the potential to double Britain’s existing hydro-power capacity over the coming years, and SIMEC GHR’s assets and expertise will enable GFG to play a leading role in delivering that additional capacity as part of our overall GREENSTEEL and GREENALUMINIUM strategy,” he added. In addition to its hydro plans, SIMEC Energy is currently consulting with local communities in the Highlands on its proposal for an investment of around £150m in building a wind farm at Glenshero, designed to generate 164 MW of power. This project will be Britain’s first large-scale subsidy-free wind farm. A planning application for the development is due to be submitted this summer.